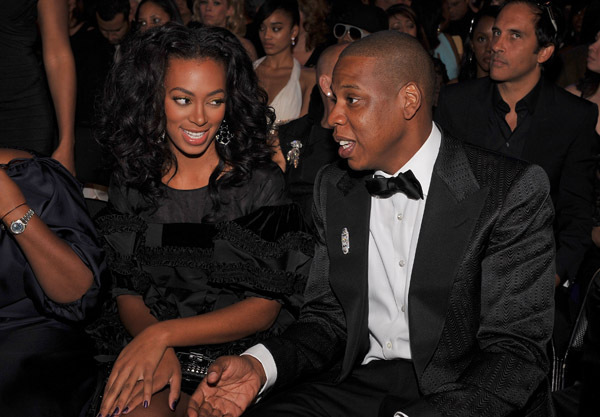 They duo of JayZ and Solange finally released a statement regarding the elevator fight. At the end of the day, they may be celebrities but that does not make them immune to family issues. I think the fascination stems from how vicious the fight was. Hopefully their statement is enough to make the media move forward. You can read the statement below. The reports of Solange being intoxicated or displaying erratic behavior throughout that evening are simply false. At the end of the day families have problems and we’re no different. We love each other and above all we are family. We’ve put this behind us and hope everyone else will do the same. I guess what took so long was Jay Z agreeing to “share responsibility”. I hate how Beyonce gets everyone to fight her battles for her. No matter what they do, no one is going to forget about the whole incident in the elevator for a long time.